London, March 26: MPs have temporarily seized control of the Brexit process from the British Prime Minister Theresa May, in a rare move that puts lawmakers in the driving seat, the media reported. MPs defied the government on Monday evening to vote 329 to 302 in favour of an amendment giving them control of Parliament's agenda on Wednesday and clearing the way for a series of alternative votes to May's widely criticised withdrawal agreement with the European Union (EU). Coming Wednesday, lawmakers could vote on as many as seven different options -- which might include a second referendum, crashing out with no deal, and a Norway-style deal with the EU, giving the UK full access to the single market and the European Free Trade area. Thirty Conservative lawmakers defied the government whip to vote in favour of the amendment, which was proposed by Conservative remainer Oliver Letwin, a fact that will be hard for the British Prime Minister to ignore, according to CNN. UK Prime Minister Theresa May in Last-Minute Push to Win Brexit Support. The rebels included three government ministers, one of whom -- now ex-business minister Richard Harrington -- tweeted his resignation letter as the amendment went to a vote. Parliament rejected another amendment which called on the government to hold a vote on a no-deal Brexit if the UK is a week away from crashing out of the EU. Tired Public Needs Brexit Decision, Says British PM Theresa May. Speaking after Monday's votes, Labour leader Jeremy Corbyn congratulated Parliament for "taking control" of the Brexit process. "The Government's approach has been an abject failure and this House must now find a solution," Corbyn said. 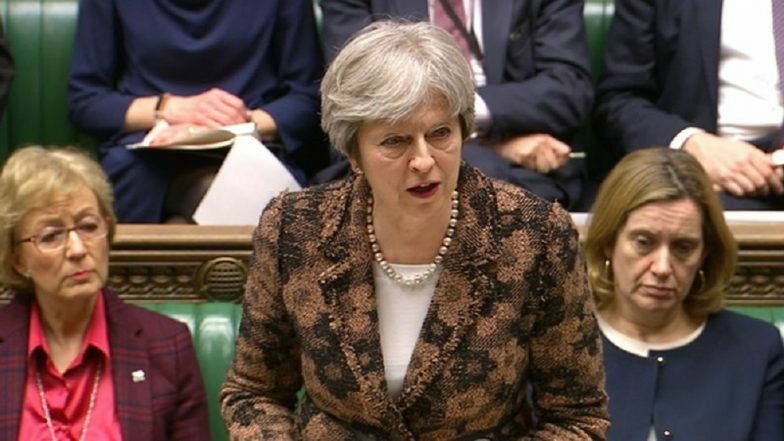 May told the House of Commons earlier on Monday that there was not enough support for her deal to bring it back for a third meaningful vote. The Prime Minister also said she could not "commit the government to delivering the outcome of any votes held by this House. But I do commit to engaging constructively with this process."